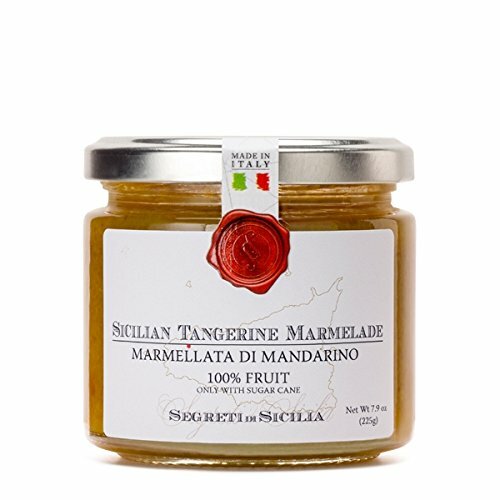 Stonewall Kitchen Marmalade - Tangerine - 13 oz The distinct sweet, juicy flavor of sun ripened tangerines fill our Tangerine Marmalade with sunny good taste. Top an English muffin with Tangerine Marmalade or spoon some on to a just-out-of-the-oven popover for an incredible treat. 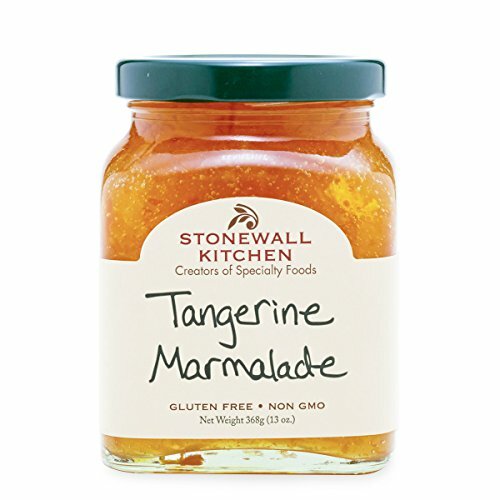 Gluten-free and Made in the USA About Stonewall Kitchen Founded in 1991 by partners Jonathan King and Jim Stott, the two established themselves selling jams and jellies at local farmers’ markets, fairs and festivals with their flavorful line of distinctive and high quality food items. Over time, they expanded their product line to include sauces, condiments, mustards and baking mixes. Today, products are sold in more than 6,000 wholesale accounts nationwide and internationally and through the company's 10 retail company stores and catalog and web divisions. Stonewall Kitchen is the winner of 28 prestigious awards from the Specialty Food Association and is a three time recipient of the coveted Outstanding Product Line award. 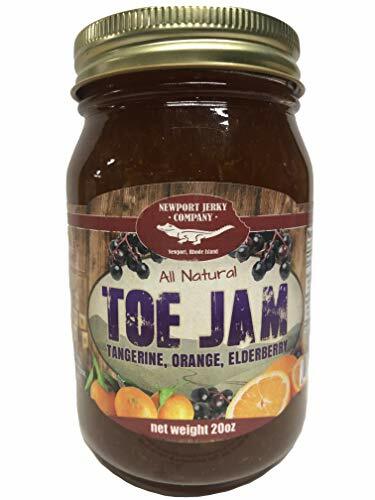 Tangy and full of flavor; ideal with breakfast foods or mixed with pepper jelly, horseradish and Dijon mustard as a glaze for chicken and pork or as a dip for coconut shrimp. Net wt. 10oz. Fresh tangerines are hand-picked along the Neretva River Valley of Southern Dalmatia, well-known for its citrus crops. 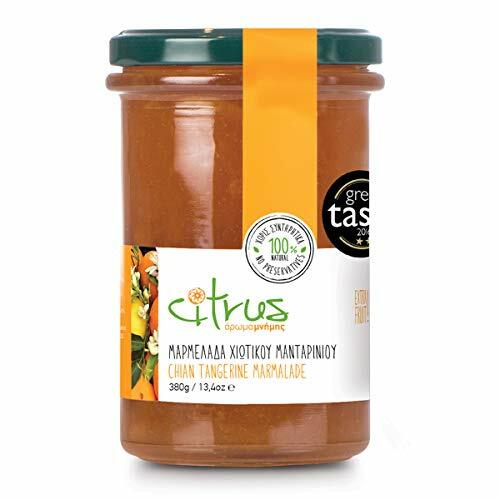 Each piece of fruit is inspected by hand for quality before being cooked into this flavor-rich spread - an explosion of mouth-watering flavor in your mouth! Bright, refreshing citrus, sweet highlights, opens up to a mouth-watering explosion of flavors, evolves to a light, citrus finish.Serve with fresh cheeses - ricotta or Chèvre are both perfect platforms for the bright citrus. Enjoy on warm, buttered walnut muffins or hot, buttered crumpets. Try with cream cheese on a warm bialy. Add to your favorite cocktail (mojito, margarita) instead of simple syrup for a citrus twist.Ingredients:Tangerines, sugar, water, fruit pectin, citric acid (acidity regulator), lactic acid (acidity regulator), ascorbic acid. The unique coastal region of Croatia is the inspiration for Dalmatia brand - well-known for its Mediterranean fruits and vegetables, nuts, cheeses, domestic olive oils and of course, its beauty. Owners Maia Magee and Neb Chupin use first-class fruit to make their Spreads and actively work to support regional agriculture in Northern and Eastern Croatia, Serbia, Macedonia, coastal Dalmatia, and other Mediterranean regions. 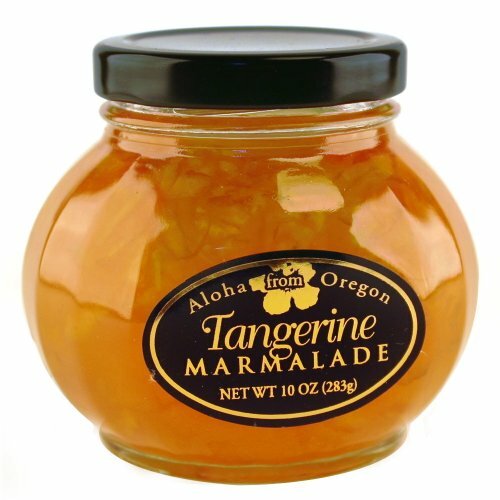 You will love this Chian Tangerine Marmalade as a refreshing touch on your morning toast, bagel, croissants, oatmeal, and yogurt. Its tangy flavor makes it an especially unique topping for cheesecakes, flan, panna cotta, in between layered cakes...even PB&J! 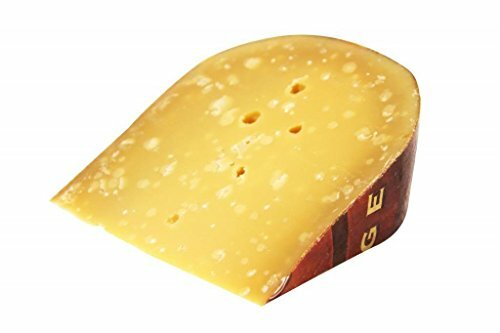 Try it instead of the usual quince jam with your aged cheese and fine wine. 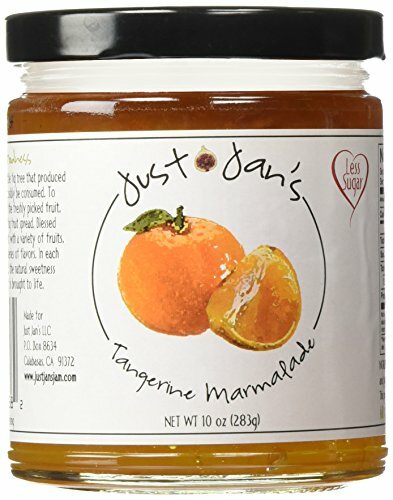 This St. Dalfour Orange Marmalade Fruit Spread contains all natural ingredients and 100% fruit. It is made from an old French recipe in France. 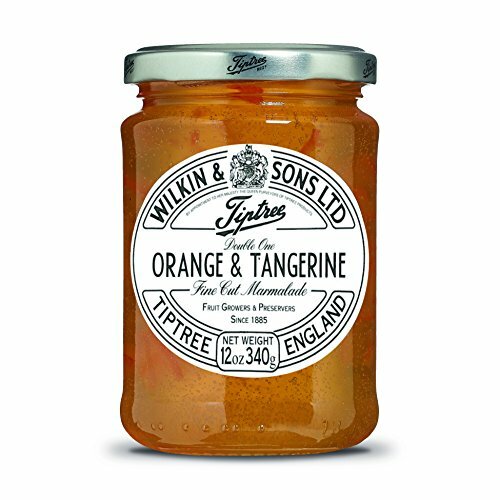 Just Jan’s tangerine marmalade, is a unique twist on traditional orange marmalade. Our tangerine marmalade is all natural and made with care, allowing the bright citrus flavor of tangerine to shine through. Brighten up your morning toast or try it in your evening cocktail. Our All Natural Gourmet Jams are a must try. We use only high quality fresh ingredients that prove themselves in every bite. Our gourmet jams are all done by hand in small batches to ensure perfection. Be sure to try our jams on chicken or pork. Shopping Results for "Tangerine Jam"